An exfoliating mask for clear skin suitable for oily and overactive skin, made with 97% naturally derived ingredients. Andalou Kombucha Enzyme Exfoliating Mask has fruit stem cell complex with argan stem cells, grapefruit kombucha, pineapple and papaya enzymes. Gently dissolving and exfoliate dull, dry surface cells that can clog your pores and cause breakouts as willow bark uplifts circulation for a clear, balanced complexion. 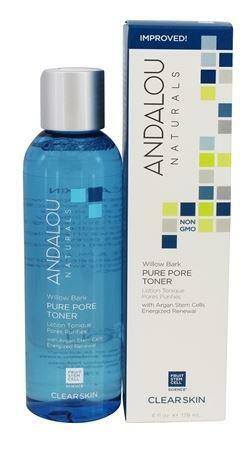 How to use Andalou Kombucha Enzyme Exfoliating Mask Apply evenly to clean, dry or damp skin. Leave for 10-20 minutes. Rinse with cool water.